Can you feel my healing rays? How beautiful! We'll show this pic to Prancer Pie, it might just be what he needs! Very cool, Athena! I'll be posting mine on Caturday. that is gorgeous! Love the rosiness of the photo! Mes will be posting mine tomorrow, after mes makes my mind up! 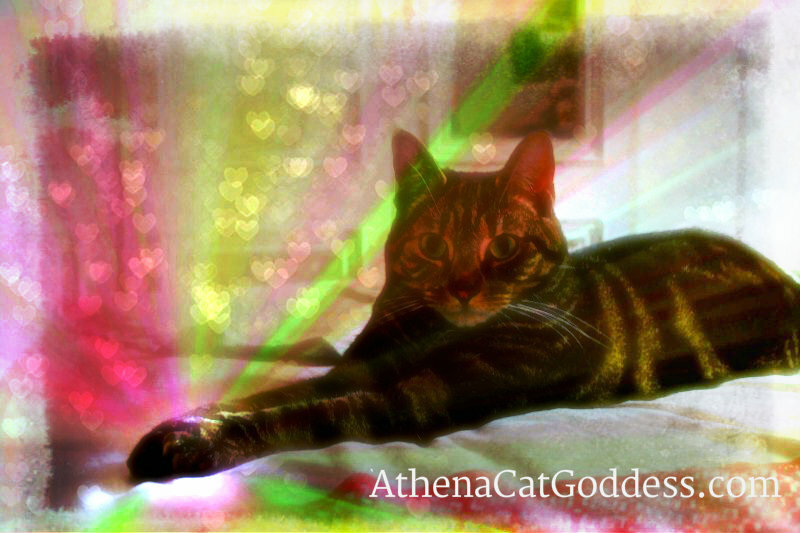 Beautiful, beautiful...we can feel your healing rays Athena . Have a wonderful Caturday! The reason why we are not seeing any photo links this week is because I stupidly selected text only links without realising. So sorry about that! I'll remember for next week! We love your photograph Athena. We joined the fun with some roses growing in our hummingbird cottage. These roses are very special to us as we planted them memory of Sniffie, and we call them the Sniffie roses. I figured it out. I hit the wrong Add Link.